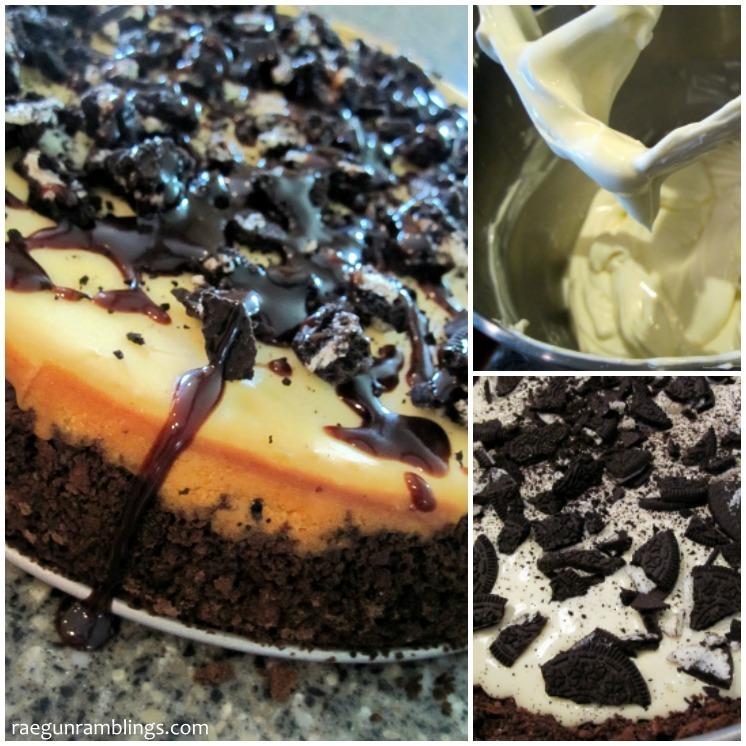 I had to update this Oreo Cheesecake recipe since it is still one of my absolute favorites and most requested. I just thought it deserved some better pictures I hope you love it as much as my family and friends have!!! I had a ton of people asking for the recipe so here it is. I cannot stress enough that you need to let your ingredients come to room temperature. Let me know if you try it. Enjoy. Pour 1/3 of mixture into springform pan. Sprinkle a third of the oreos. Repeat with another 1/3 of cream cheese mix and oreo two more times then top with the rest of the cream cheese mix. Reserve a 1/3 of the oreos for the top. Top with oreos and drizzle chocolate topping before serving. So it looks like I’m still totally cheesecake obsessed. I know what I’m trying next, Lemon curd swirled cheesecake with a blueberry topping or maybe I’ll do raspberry since we already did blueberries. 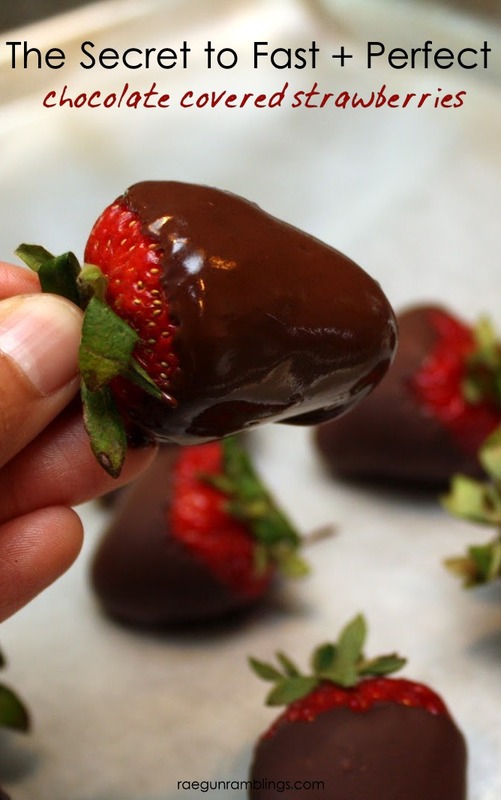 How to make the BEST Chocolate Covered Strawberries! 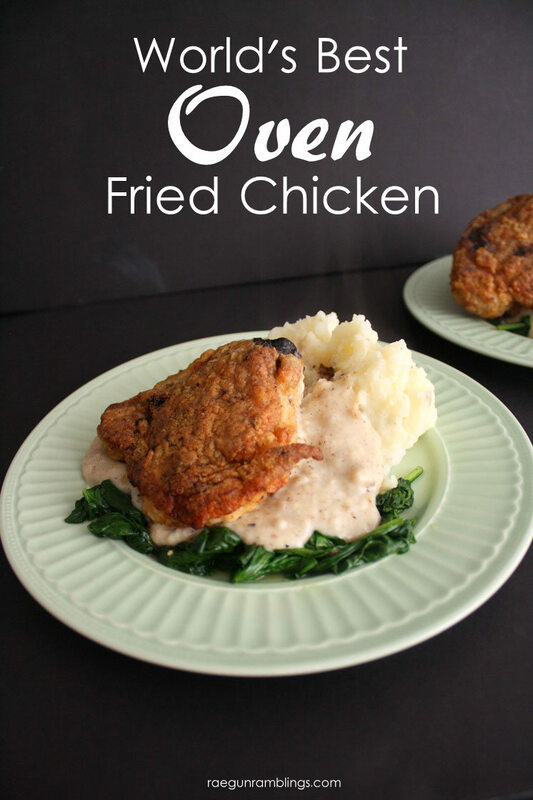 This Oven Fried Chicken recipe is just as crisp and tastes as good as deep fried! 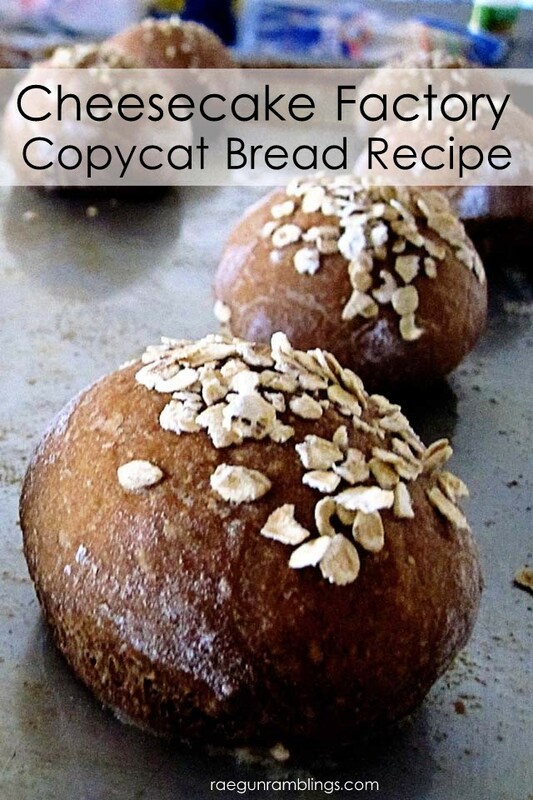 Cheesecake Factory brown bread copcycat recipe. Yes it does tastes exactly the same! Wow!! This looks delicious :) Thanks for sharing!!! 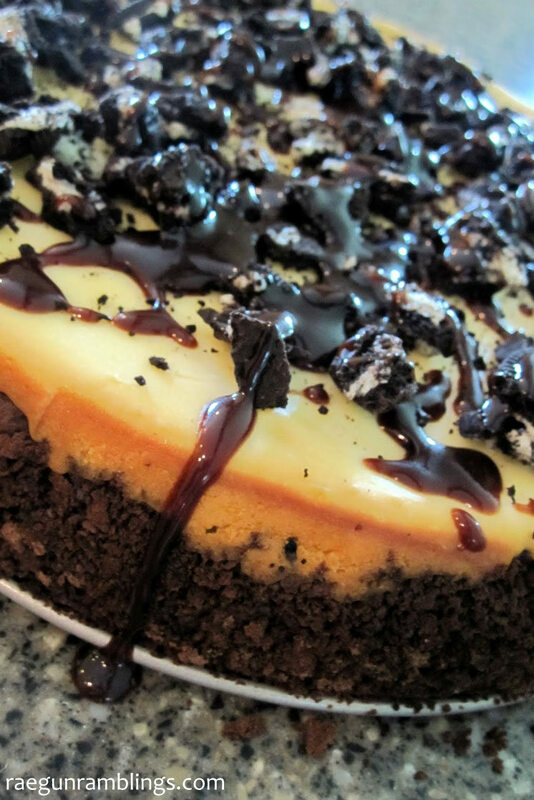 Okay, this looks delicious and I don’t even like cheesecake! Thanks so much for sharing at Merry Monday this week! It looks really tasty! Well, I ‘m fasting and I’m looking for deserts that do not contain milk -and dairy products- or eggs, do you have any suggestions? All of mine have eggs too but you might be able to substitute Ener-G for eggs in a cookie recipe! I do and I don’t need this…you know what I mean? haha. Looks like perfection! This cheesecake would probably be gone in a short period of time if it ended up around me. Looks amazing! Thanks for linking up with Delicious Dishes Recipe Party! Thanks for sharing!!!! How much water do you add to the pan in the oven?